Convert PDF to Microsoft Office format, such as word, Excel, PowerPoint, etc. Convert scanned PDF file to Microsoft Office format. Support up to 200+ documents format. Maintain original document format, including texts and pictures. Provide hundreds of different PDF form templates to download. Easily save and print files when finish edit file. Edit contents of convert file – change font, size, color, insert, crop, resize, delete images, add page, delete page, extract, split page, reorganize, and crop pages. Enter Name and email address, and then click “Get it Now” button to get free registration code of VivPDF. An email from VivPDF will receive containing with license key code and download link. 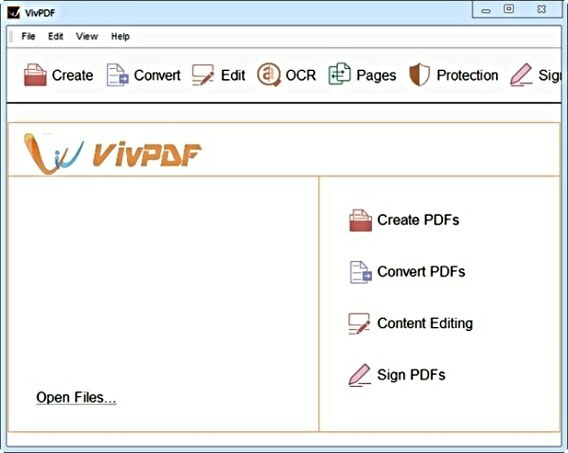 VivPDF compatible with Windows XP, Windows 7, 8, 8.1, and Windows 10.